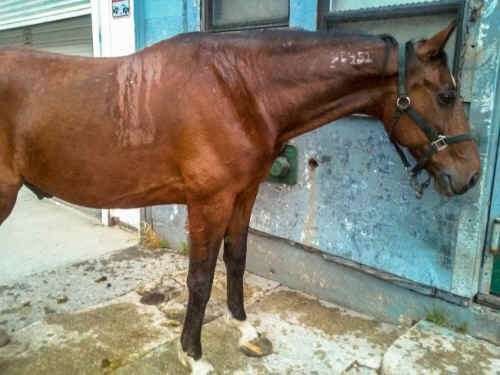 Last Chance for Animals investigated the New York City carriage horse industry and exposed routine violations of the laws and regulations that protect both horses and people. The undercover video, narrated by Emmy award-winning actress Edie Falco, reveals carriage horses operating in dangerous traffic conditions, deprived of access to water, and forced to work while injured. Watch Edie Falco narrate LCA video here, watch LCA's B-Roll video here. During his 2013 election campaign, New York Mayor Bill de Blasio pledged to finally end the cruel carriage horse industry. Intro 573, a proposed ban on horse-drawn carriages, was introduced in December 2014, but New York City Council has yet to vote on the bill and Mayor de Blasio has given up the fight. Now, it’s up to the public to pressure the mayor and council members to pass the carriage ban. If you live in New York City, CLICK HERE to find your council member and let them know that you vote, and you will not tolerate horse-drawn carriages. Wherever you live, CLICK HERE to contact New York Mayor Bill de Blasio and urge him to keep pushing for the ban. Spread the word! Share this page on social media to educate the public on New York’s cruel and dangerous carriage horse industry. 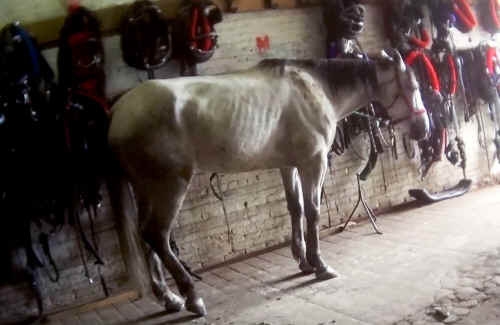 LCA has filed complaints with the Department of Mental Health and Hygiene, Department of Transportation, Department of Consumer Affairs and the American Society for the Prevention of Cruelty to Animals, all of which are responsible for enforcing New York City's carriage horse laws and regulations. 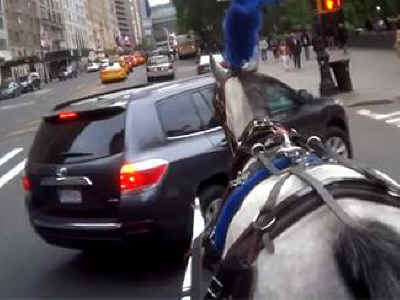 Since 2009, there have been over 30 documented incidents of horse carriage-related accidents in New York City, including serious injuries sustained by drivers, horses, customers, and passers-by. These include a child falling out of a carriage and run over by the wheel, a horse collapsing and dying in the street, and numerous cases of carriage drivers fleeing the scenes of accidents. Many of these drivers are never identified, and thus never held accountable. In St. Petersburg, Russia, in 2007, five-year-old Valeriya Kolodyazhnaya – the daughter of the mayor of Sochi – was killed in a horrific horse-drawn carriage accident. A car collided with the carriage, causing Valeriya to fall onto the road; she was admitted to the hospital with severe injuries, and later died.